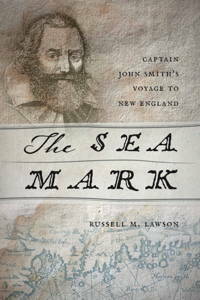 Fulbright Canada tweeted today about my latest book, The Sea Mark: Captain John Smith’s Voyage to New England. I was a Fulbright Visiting Research Chair at Brock University in Ontario in 2010, during which time I taught a class on the History of the First Nations of Canada and researched Anglican missionaries to the First Nations during the 18th and 19th centuries. It was during this Fulbright sabbatical that I began to consider the various expressions of missionary work in America. I studied Roman Catholic, Methodist, Baptist, and Anglican missionaries to American Indians throughout North America. As I studied Anglicans, I realized that the Great Commission, Jesus’s command to his disciples to spread the Good News to all nations, to the whole creation, was something that motivated many more people than just missionaries and priests. Indeed, many of the sailors and explorers who crossed the Atlantic to North America seemed to have had the Great Commission in the fore, or at least in the back, of their minds. I found this to be the case with John Smith, who though he was a man of action, soldier and discoverer and colonist, still believed that he was driven by God’s will, which included the Great Commission. There were many sides to John Smith, as there were many sides to other explorers and discoverers of America. They had many failings, they committed many sins. But part of their motivation was the Great Commission, and God’s commandment to love one-another.